Brocklesby grain growers Deanne and Simon Ballentine have been announced the winners of an annual photo competition run by local grain marketer Southern Ag Grain. The couple and their two boys, Ryan and Aaron, won a night in Melbourne with platinum tickets to the Australia vs West Indies cricket match at the MCG. The winning shot was taken in September last year on the Ballentine’s mixed cropping property north of Brocklesby. 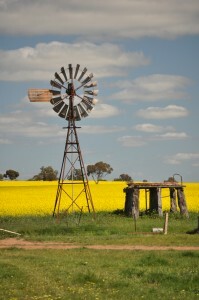 It features their canola crop in full bloom behind an old windmill and pump stand. 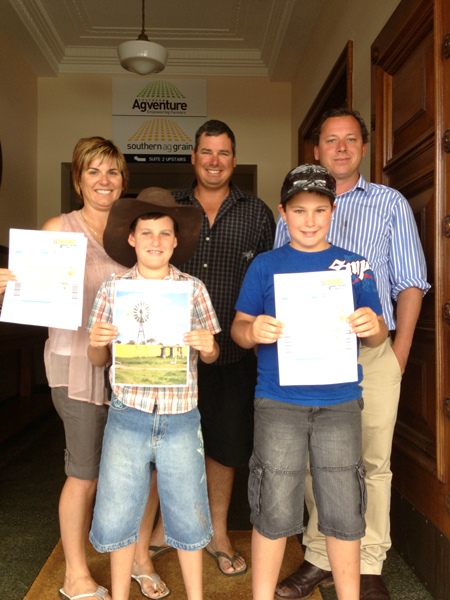 Southern Ag Grain’s farm photo competition received around 50 entries from the region’s farming families.